On February 27th we came together as citizens, as concerned supporters of Reality Winner and as a campaign in response to Billie’s call. Billie Winner-Davis, Reality’s mother, had been maintaining a silence in hopes that it would avoid further injustices to her daughter. But once Reality was denied for the fourth and last possible chance to get bail, meaning she is now jailed indefinitely, Billie decided that was enough. Responding to Billie’s public call for people to attend the pre-trial hearing on February 27th, supporters drove to Augusta, Georgia from as far away as New York state. So many people contributed and rallied support for this event, that we wanted to give you a report back on how much your presence and support made a difference in that Georgia courtroom to both Reality and her parents. Can You Donate to our Public Awareness Campaign? Can you volunteer your artistic and design skills or your writing skills? What about your commitment to education or accurate media coverage? Or maybe even just a little online research? We have recently put out a call for a few strategic moves that we need help in achieving. We have some specific tasks that have already been outlined, strategized and mostly can be done online from anywhere in the world. Each of these volunteering opportunities can be accomplished in a relatively small amount of time commitment on your part. We just need your help to accomplish them! Check out our volunteer call & let us know of your interest, experience, skills o&questions! Have you signed our petition yet? "Declassify the Winner Doc!" As she was being driven away from the federal courthouse, Reality threw a peace sign to the world. Tuesday was the first hearing that supporters have attended & we may have uplifted her spirits! 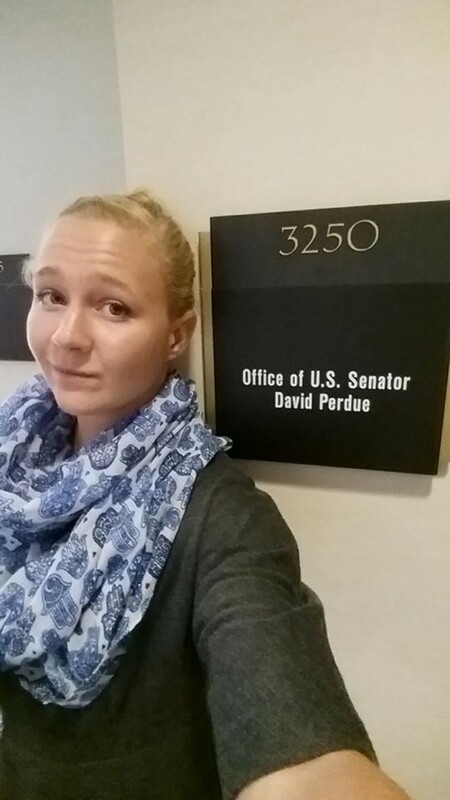 News Reporter: Accused NSA leaker, Reality Winner was in court today, along with supporters and her family. Billy Winner-Davis: I don’t know about confident but I feel like we did the best that we could. News Reporter: Those are Reality Winner’s parents and they left the federal courthouse feeling pretty hopeful today, along with some of her supporters. They wore orange Coronations. You see those right there on their lapel, that’s in support of their daughter. That’s to match Reality’s jump suit. 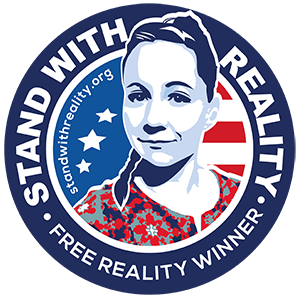 The hearing today, came down to whether Reality Winner was in custody when she made statements to agents last June. Now of course, anyone in custody is supposed to have their Miranda Rights read to them. Her rights were never read to her. Billy Winner-Davis: I think we felt really, really supported for the first time. The other hearings that we’ve gone to, it’s just been us so to have other people, other supporters there, we had an entire row filled and then we knew that there were people outside as well. That felt so good to me and we did invite everybody back to the house after the court hearing and people came and it was nice. It was really a nice time for people to get to know us, to get to see the infamous house and the infamous interrogation room. When everybody saw the room, they absolutely knew that some of the FBI agents had testified to were false because that room, the way that that room is setup, it just didn’t happen the way that they were saying. It is a very strange plot of land and home there and so, when they actually see it, yeah, I think it made a huge difference to the people who were able to join us afterwards and then Reality did call while everybody was there, to let us know about her fall and she made it so hilarious and funny that I mean, some of us were falling down laughing because she just made everything a joke and funny. She said, “I was literally, a stranded turtle on the courtroom floor, spinning around in circles trying to get up and I could and I told them not to touch me.” It was funny how she wanted to make a joke out of it but yes, she was really banged up and when we saw her on Saturday, her knee, it’s huge and it’s all shades of different colors. The doctor did look at it. He’s not concerned. The nurse didn’t see any fluid but yeah, it was a horrible. Here’s Gary. Do you want to say anything about the experience last week as to the supporters that were there? They’re doing a sort of video to kind of report back. Gary Davis: I just want to say thank you for everyone that was there. Darwin was there and Wendy. I don’t know how we would have gotten through that without everyone’s support and help. Everybody that was there at the support hearing, it really helped us get through a really tough time so thank you, thank you all. Liz Miner: Yeah. I just wanted to say really quick, it was so great meeting both Wendy and Billy. That was awesome. I’m sorry I couldn’t be around more. We were so tired. Things got a little bit off track for me. I started off going from New York down to Georgia, with my husband and I started a hashtag on line which is #NewYork2Georgia4Reality with the numbers 2 and 4 so that way my followers could kind of follow along on the trip. They could see what I was seeing and stuff like that. Wendy Collins: First and foremost, I had the pleasure of finally meeting Billie in person and Gary and the family so I’d met Brittany once before but Billie and I had never hugged so we were both real to each other, after all these months because as you know, I’ve been here since the beginning so it’s just … that was amazing for me. Walking into the documentary, which was kind of crazy but I’m sure that’s going to be fantastic and being in the courtroom, that whole experience of her being escorted from across the street and being in the courtroom and Reality coming in and being shackled and having the marshals in her face at all times. One posted across the courtroom, one sitting, literally in front of her staring her down. We’re sitting basically in the second row and she can’t even turn around just to take a look at us. She kind of did a little bit. Brittany and I made a few little waves by trying to make her laugh. We were all wearing carnations and we were joking with her saying, “Look, they’re not …” because they were afraid that they weren’t going to be orange, that they were going to be salmon colored so it was like look, “They’re orange. They’re orange.” During a little break, just to try and make her laugh a little and ease the tension. In all appearances, it was so intense being in that courtroom. I think I mentioned that to you Anya, that it was just like nothing I had ever experienced before and I think everyone here knows Reality took quite a spill on her way out because she’s shackled, hands and feet, and she tripped and for her to flash that peace sign to the world and if you look closely on the still, you can see where her lips are split. Her top and bottom lip are completely swollen and her cheeks’ red and her knee. She fell flat, obviously can’t put her hands out but her spirit in that courtroom, you could just feel it. It permeated everything. I mean, the way that that 26 year old young woman conducts herself, just blows my mind.